2018 has been an incredibly rewarding year and they are very thankful to have developed a valuable partnership with customers, which Castro hopes they can continue to nourish during the upcoming year. The new year starts with new arrivals. Brand-new lighting designs will be presented during January at Maison et Objet, in Paris, and IMM, in Cologne. Piet Mondrian is recognized for the purity of his abstractions as he radically simplified the elements of his paintings to reflect what he saw as the spiritual order, creating an aesthetic language. Inspired by this painter’s unique artwork, Mondrian suspension is composed by several pieces with geometrical squared shapes, just as the artist used to do in his work. 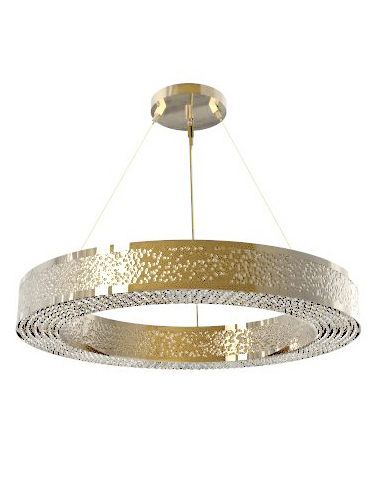 Be visually inspired by the dynamism and elegance of this unique design as the simple geometry paired with the combination of the Swarovski Crystals and the brass complements the glamour of the piece and permits you to explore a new kind of energy and charm. This piece was conceived to be distinctive and stand out for its design, becoming the perfect fit for curated interiors that combine a diversity of styles. 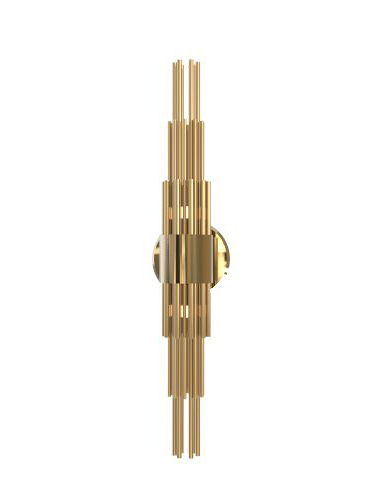 This elegant wall light features long gold plated brass tubes that give the design a whole exclusive and deluxe look, setting another level by its distinctive appearance. This recipe of rich materials and sleek lines inspired by art-deco architecture make the Streamline wall sconce desirable.